Enjoy sunset mountain views from the private backyard of this bright, happy home! 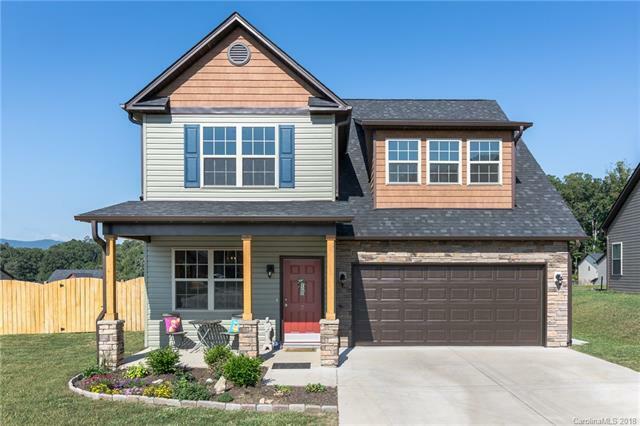 Upgraded 4 BR, 2.5 BA home built in 2017, with lots of natural light and open layout. Large kitchen island, walk-in pantry, stainless steel kitchen appliances, gorgeous sunroom, library/formal dining, gas fireplace, and huge fourth bedroom that doubles as a playroom or den. Large backyard is fenced with playset. Just 5 minutes from Biltmore Park and shops on Airport Rd. Mallard Run is a vibrant family-friendly community with no through traffic and frequent social gatherings and activities. Address is not yet updated in all GPS systems; use Google Maps or refer to directions in listing. Sold by Pinnacle Lifestyle Realty Llc.